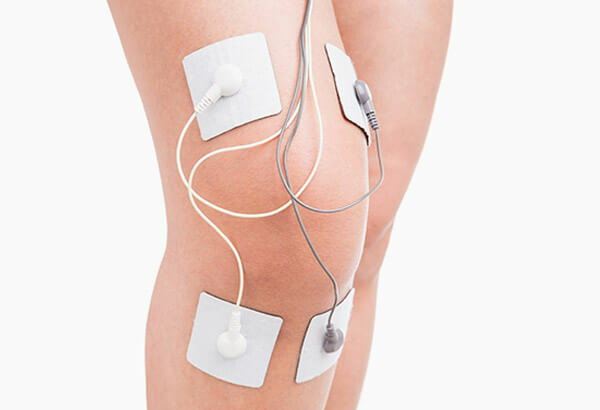 Electric current is used to relieve pain in a variety of therapies: transcutaneous electrical nerve stimulation (TENS), interferential current therapy (IFC) and neuromuscular electrical stimulation (EMS). It does so by increasing blood circulation and stimulating the muscles. The low-voltage electrical current used in these therapies flows through electrodes placed on the skin. This type of therapy is often used to treat acute conditions such as cervical, thoracic or lumbar sprains.